Five young people were rushed to hospital following a road crash in the early hours of Sunday. One car was involved in the incident which took place on the outskirts of Kilkeel, Co Down at around 2.30am. Inspector Denise Graham said the five people in the car - three men and two women aged between teenagers and early twenties - were taken to hospital. "We received a report at 2.50am that a red-coloured Seat Leon had collided with a wall on the Newry Road," she said. 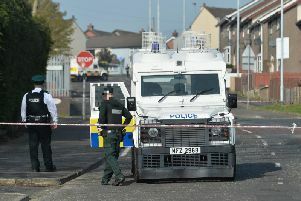 "Police attended the scene, along with the Northern Ireland Fire & Rescue Service and the Northern Ireland Ambulance Service. "The five occupants of the vehicle - three males and two females aged in their teens and early twenties - were all taken to hospital for treatment, four having serious injuries and one male was detained for observation. "I am appealing to anyone who was on the Newry Road around this time and saw what happened to contact police on the non-emergency number 101, quoting reference number 248 of 12/08/18."